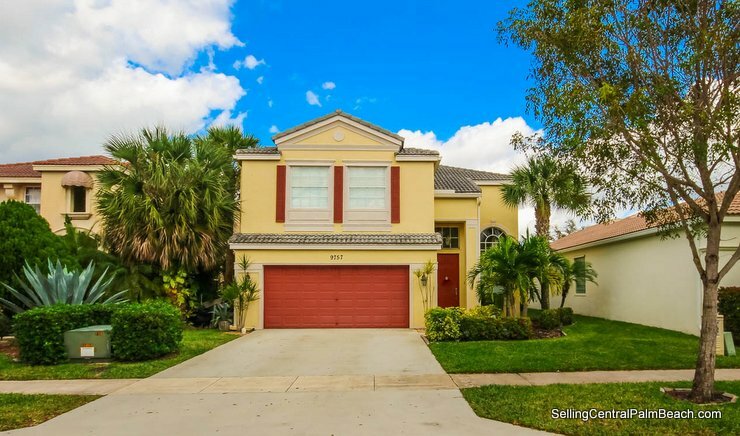 Gorgeous Pool Home for Sale in Wellington’s prestigious guard gated community, Olympia! Featuring 4 bedrooms, 2.5 bathrooms and a 2 car garage this home has so much to offer both inside and out. Upon entering you will immediately fall in love with the open floorplan, vaulted ceilings, neutral decor and wood floors throughout. The formal living area flows seamlessly into the upgraded kitchen, which offers white cabinetry, granite countertops and stainless steel appliances. The kitchen also has a breakfast bar and overlooks the family room and separate dining area. The family room has sliding glass doors that lead to a tropical paradise where you’ll be able to escape all year long! This private backyard oasis features an in-ground pool, covered patio, summer kitchen and is surrounded by lush landscaping. Olympia is a magnificent guard gated community located on the southeast corner of 441 (SR-7) and Forest Hill Boulevard in Wellington Florida. Within the gates you’ll find resort style amenities that include a swimming pool, cabanas, spa, clubhouse, fitness center, indoor and outdoor basketball courts, tennis courts, volleyball courts, playground and more. Top rated Wellington schools are just a short walk, bike ride or drive away along with shopping, dining and entertainment.